Supergirl: What's So Funny About Truth, Justice, and the American Way? Manchester Black breaks out of prison and form a new team, the Elite. Supergirl tries to apprehend them while dealing with the Children of Liberty. Nia Nal advances her training. I thought this was just a solid episode, nestled among all the slog of previous Children of Liberty ones. At this stage, having already done eye-rolling speeches about alien vs human rights, the show can just tackle the action and everything rolls along pretty well. 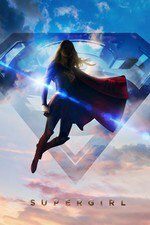 We already know the president is anti-alien and would inevitably side with Lockwood, and Black and The Elite has a decent moral ground to stand on, and having Kara trying to navigate the middle makes for more compelling storytelling than watching Lockwood be an intellectual douche and everyone else tip-toeing around his subversive grandstanding. I want to see Black punch his lights out and Supergirl trying to figure out if she should stop him; we basically got that this episode with the satellite ready to destroy the white house and Supergirl wrecking it. The nice surprise was Haley admitting she didn't know about Project Claymore either. They keep teasing us with where her morals stand and I both love and hate it. I honestly don't know whether I want her to be good or bad, and I actually find that super complicated and entertaining, especially for a WOC character. Did I miss or forget whatever happened between Brainy and Kelex? I don't see how I could forget that rivalry because it's hilarious. There's not much about The Hat in the comics, but I'm glad they kept the character Asian like in the comics, and the British accent is also a great detail. Wow, this episode was full of plot movement to set up the rest of the season. Still, no mention of Lex or Red Supergirl so it's not clear how they fit in. I think that's the first meeting of Brainy and Kelex that we've seen. I didn't quite catch it but I think Supergirl said that Lois brought Kelex from Argo City. Similar to Colonel Haley's ambiguity, I'm wondering what is going on with the President. Is he acting of his own free will or is he following directions? In one of his first presidential appearances early in the season they had him look conspicuously off-camera while talking to the DEO, as if he was being told what to do. Why is Brainy having a war with a robot? How does Nia have (direct?) descendants?